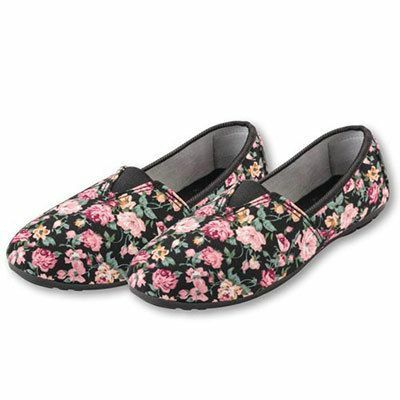 Pink and peach roses printed on black polyester covers these comfy, slip-on Pink Roses Loafers. Matching elastic V-front for an improved fit. 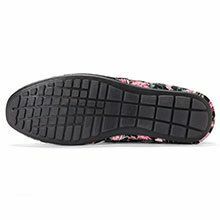 Rubber, no-slip traction sole for comfort and an easy wear. Imported. 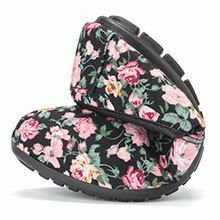 Available in whole sizes.